Pratt proudly welcomes 2015 Artist-in-Residence Junko Yamamoto to our Printmaking Studio. Through her month-long residency in September, Junko is exploring printmaking techniques to add new vision and energy to her paintings. 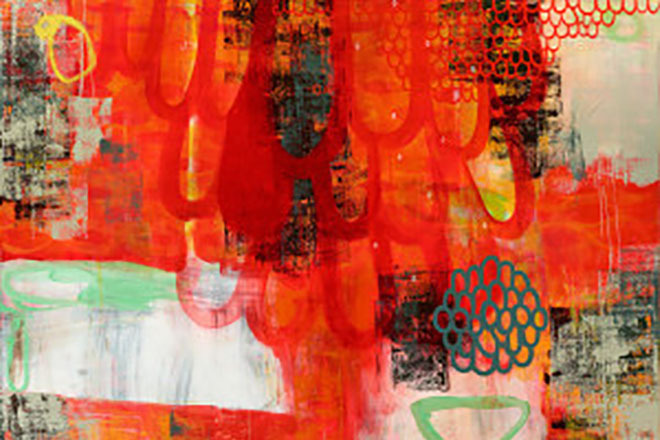 Junko's works are inspired by memories of texture, color and space. She explores the push and pull of painting, layering two-dimensional surfaces with mediums to create three-dimensional depth and spatial extension. Learn more.